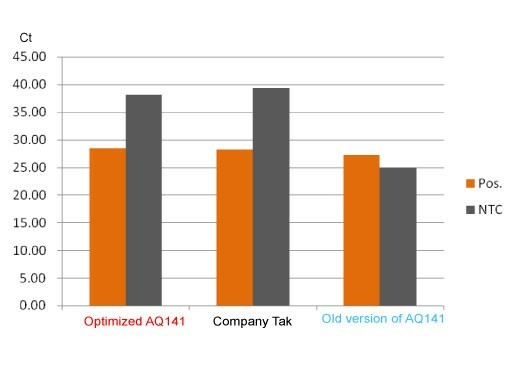 Cashback Reward : Earn up to 78$! 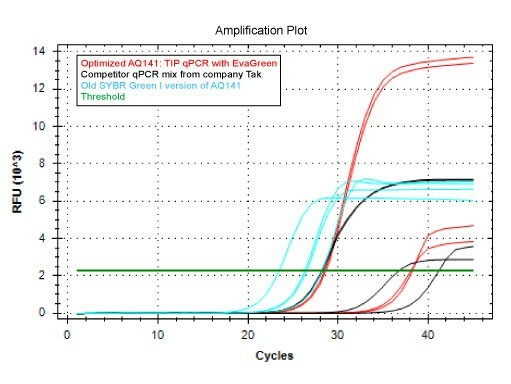 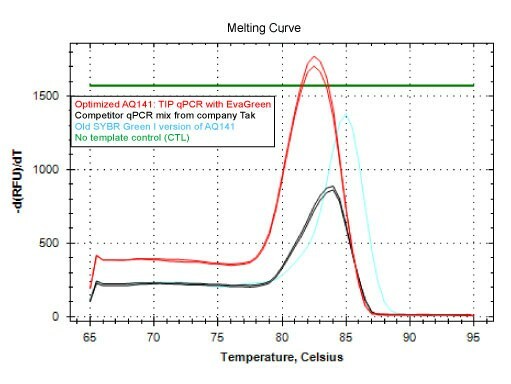 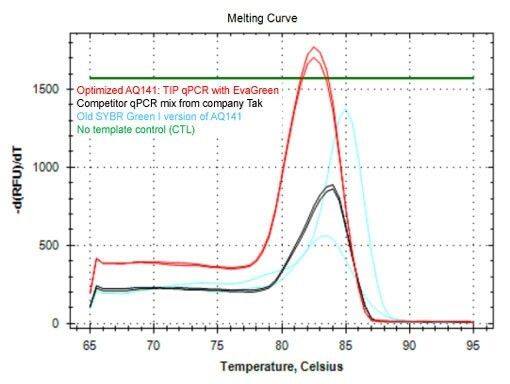 TransStart TIP Green qPCR SuperMix is a ready-to-use qPCR cocktail containing a novel TransStart® TipTaq DNA Polymerase (three different blocking proteins used for blocking template and primers, one special chemical binding to DNA polymerase to block its activity), optimized double cation buffer, EvaGreen® fluorescence dye, dNTPs, PCR Enhancer and PCR stabilizer. 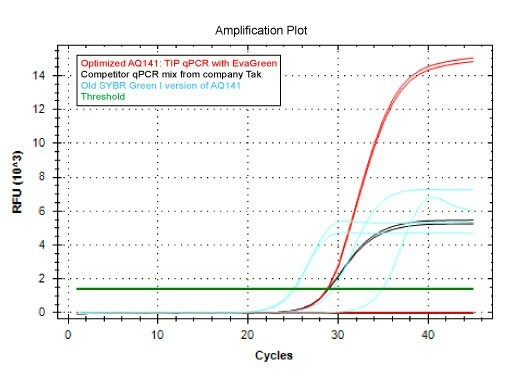 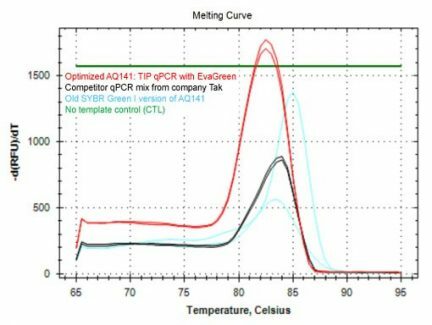 qPCR SuperMix is provided at 2x concentration and can be used at 1x concentration by adding template, primer, passive reference dye (optional) and ddH2O. 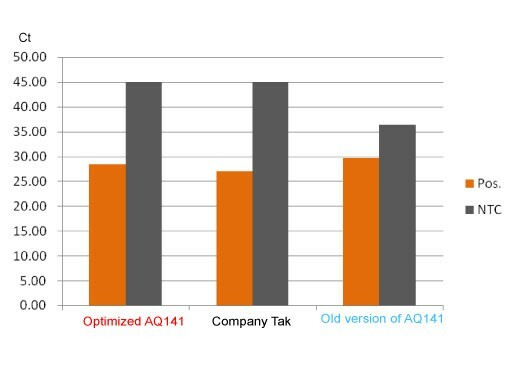 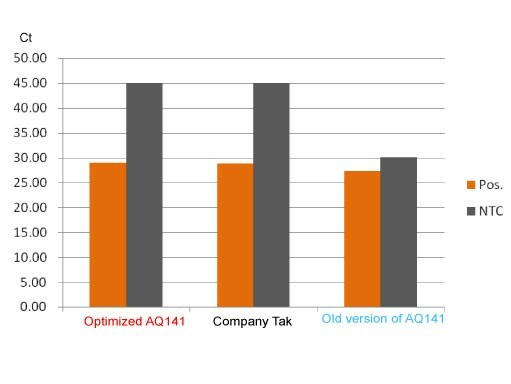 What’s New in the newly Optimized version of AQ141? Amplification efficiency for most tested genes is equal to competitor Bio-Rad SsoFast™ EvaGreen® Supermix (1725201) and Takara SYBR® Fast qPCR Mix (RR430A). 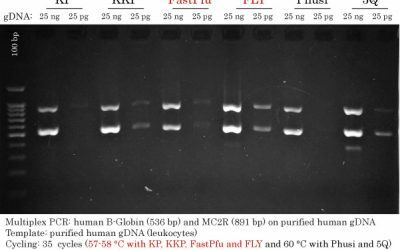 Results for different genes may vary. Improved standard curve linearity than 2017 batches. Novel EvaGreen® dye now replaces SYBR green I – the same as Bio-Rad (2018 batches are slightly yellow while the older versions were translucid). Enhanced fluorescent signal : Much stronger than competitor Takara and 2017 batches but slightly weaker than BioRad. 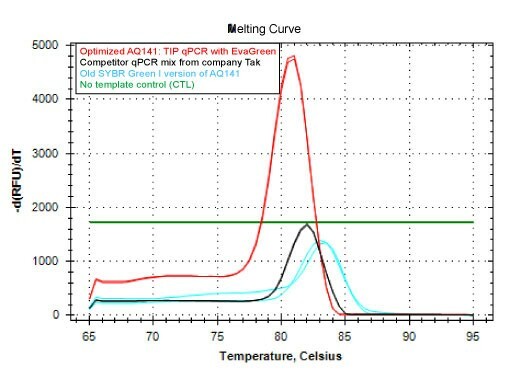 A combination of chemical blocking technique and TransStart® “hot start” technique to achieve complete blocking. Compared with double blocking TransStart® TipTaq, this method provides higher sensitivity, higher specificity, better amplification. 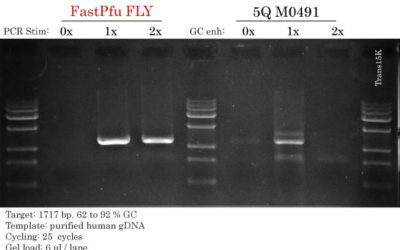 This product give strong signal and high sensitivity for low amount of cDNA. 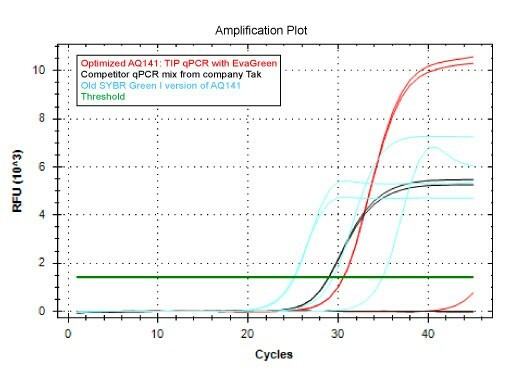 We use it on Eppendorf Realplex PCR machine and it works really well.